Before Novagrade, digiscoping adapters were only suited for a specific scope or a specific camera. Most adapters were too large, too difficult to handle, or too expensive… This is history now. 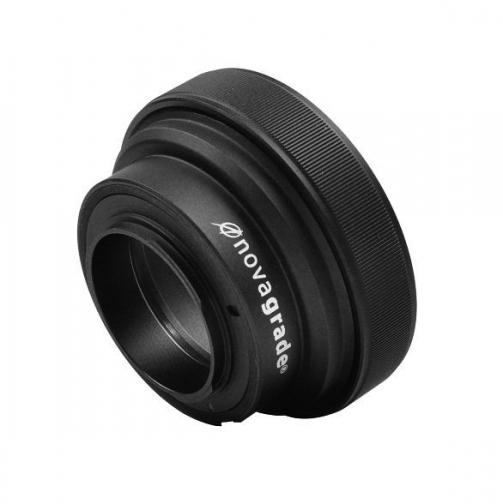 The innovative Novagrade adapters are universal and will fit any eyepiece thanks to their patented system. They are most user friendly, affordable and pocket-sized. The adapter comes with several different compression rings allowing a perfect fit to any scope or binocular with eyepiece diameters from 40mm to 60mm. The aluminium adapter mounts on all MICRO 4/3 cameras. So when you change camera or change scope, this adapter will always stay with you. Novagrade allows you to get the best out of camera and scope, a digiscoping revolution!